Ryan Burt a quitté son poste de batteur au sein de The Amity Affliction après 10 ans de service. L'homme a des problèmes mentaux comme l'explique le groupe dans un message à lire après le saut. 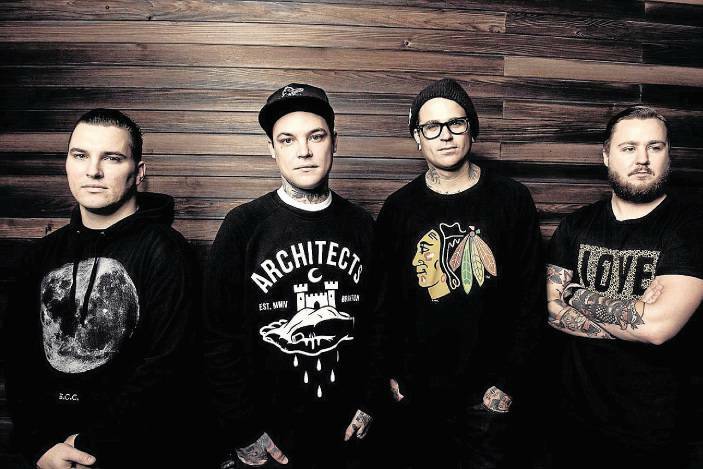 Regretfully we have to inform you that Ryan will no longer be performing or recording with The Amity Affliction. He joined the band in 2008 when he was 17 years old and we’ve gone through some amazing things together – recording five albums, touring the world and playing to crowds we only ever dreamed of. Many of you are aware Ryan has been fighting some mental demons of late and took time off in late 2016 to seek help in overcoming these struggles. Unfortunately, it has been a major struggle for him on the road. It has been very hard for us to watch him go through this, but it has been even harder for him to get on stage and give his all for the fans and band each night. He has done this through adversity on the last few tours, which we have been very grateful for. This has been a very hard thing for us all to accept, but ultimately the touring environment and spending long periods away from home and his support network is not the best place for him to be. We want to thank Ryan for everything he has contributed to the band over the last nine years and we will make sure he is looked after going forward. We are sure he will speak when he is ready, but we do ask everyone to respect his privacy at this time. All our announced shows will go ahead as planned and we look forward to the future. If anyone is experiencing any mental health issues, we implore you to reach out to professionals such as Headspace, Hope For The Day or Beyond Blue.